Student Meeting in Copenhagen on climate and energy issues. Super exciting! On behalf of the partners of the PlasTEP project we are pleased to announce the international interdisciplinary Summer School and Training Course on Plasma Technology for Environment Protection 2012. This year the summer school will take place in Lithuania. The hosts, the Vilnius Gediminas Technical University and the Kaunas Technical University, are looking forward to welcome you! The summer school will last for twelve days and include presentations and discussion groups led by international experts in the field of plasma technologies, combustion and environmental protection. In addition to the discussion programme, the students are divided into teams to undertake practical experiments on issues of importance within the plasma technological area. The time is also allocated for networking and for informal discussions with the assembled experts. The participation and accomodation for summer school students is free of charge! The main features aim improving of Master Programmes in Electrical Engineering according the needs of modern society of target partner countries RU, UA and UZ bringing the universities closer to changing Labour Market and European Education Area. Tempus NETCENG is the international study project, which in line with the Bologna Process aims to create and develop new module programmes of the third cycle engineering educations in Belarus, Russia and Ukraine (“New model of the third cycle in engineering education due to Bologna Process in BY, RU, UA”). Vilnius Gediminas Technical University (VGTU) is the coordinator of the project, project manager – Professor Pranas Baltrėnas, Department of Environmental Protection. Duration of the project is 36 months, from 1 December 2013 to 30 November 2016, and the total value of the project is 1352219,99 EUR. Vilnius Gediminas Technical University coordinates the activities of Tempus NETCENG project according to the work plan. Together with the other partners of the project from Europe (Berlin Technical University, Brunel University London and ECM Space technologies GmbH) VGTU shares knowledge, experiences and the examples of the best practice of the organization and implementation of the third cycle programmes. 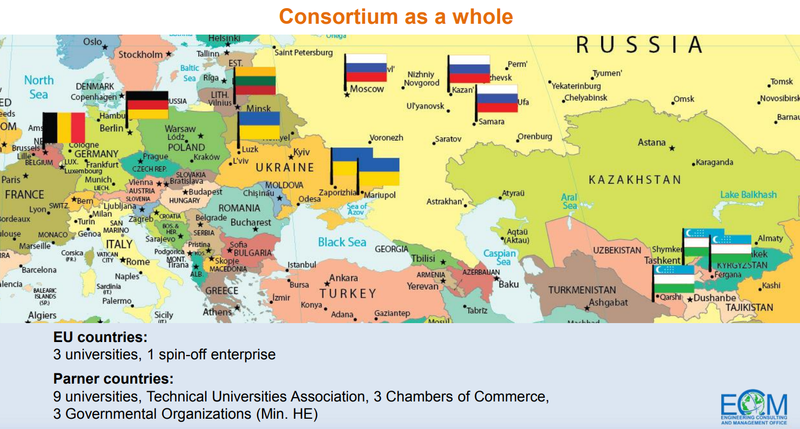 According to work plan of Tempus Netceng project, three summer schools were organized in European universities. The objectives of summer schools are to retrain the academic staff in new methodology. The teaching programmes are already worked out by the European universities. During trainings participants will be introduced to new curricula, learn new methods of teachings. The first summer school of Tempus NETCENG took place in Vilnius Gediminas Technical University on May 2015. 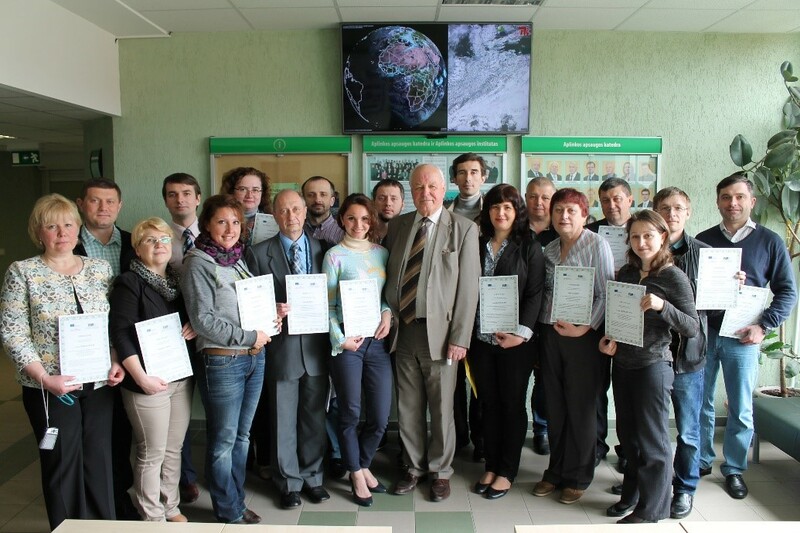 The participants gained knowledge about the experience of conducting doctoral studies in Vilnius Gediminas Technical University, but also had a theoretical course on “Mathematical modelling of environmental processes” and participated in workshops, where the theoretical knowledge was applied practically by working with software’s of environmental processes modelling. In Brunel University London, teachings were conducted on June 2015. Here, more attention was paid to “Systems modelling and simulation”, “Power Electronics & Systems”, “Materials Science and Solidification Processing”. In addition, the lectures about “Theory and Practice in Research” were conducted. In Berlin Technical University 2015 on July and August teachings related with “Navigation in transport systems”, “Sensoric in research” were conducted. Also the participants gained knowledge about the experience of Berlin Technical University in improving “Effective communication with groups” and gained knowledge that will help to succeed in the labor market. Reviewing all the results of the summer schools of Tempus NETCENG, it should be noted, that over 100 representatives (doctoral students and their scientific supervisors) from higher education institutions of Ukraine, Russia, Belarus arrived into trainings. The shared experience of organization process of doctoral studies of European universities and theoretical, practical knowledge gained during the teachings will allow the participants of the project to further improve the quality of the engineering programmes of the third cycle in higher education institutions of Ukraine, Russia and Belarus.